William is a 15-time world record holder and current freediving world champion, as well as Suunto Vertical Blue champion and 2010 and 2011 World Absolute Freediver. 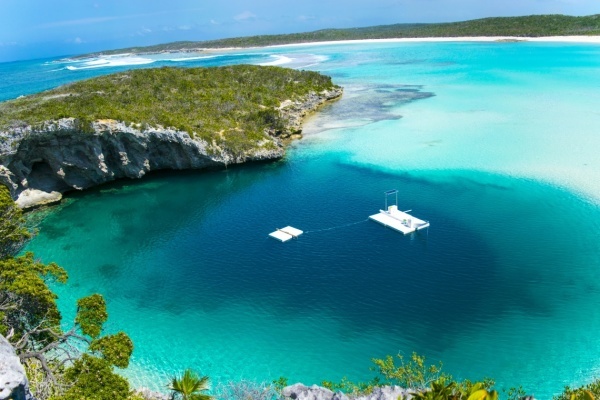 Vertical Blue is both a school and an annual freediving event on Long Island, in the Bahamas, founded by William Trubridge. "The world's best freediving location." Imagine a salt-water swimming pool, with warm, calm waters that run 203m (660 ft) deep, populated by snapper, jacks and colourful tropical fish, patrolled by a school of silver-plated tarpon and visited by curious rays, turtles and tiny seahorses. 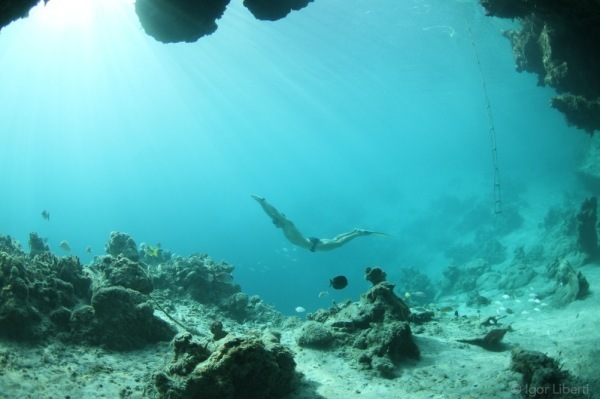 Master your game in the three keystones of freediving: mind, body and technique. Offered only once per year, the Vertical Blue Master Class is the pinnacle of freediving education. It combines instruction from World Champion and record holder William Trubridge with a special guest instructor (normally another world champion or a world expert in a related field). Past guest instructors have included Goran Colak, Maurizio Fernandez, Simon Borg-Olivier and Sara Campbell). A hand-picked team of expert in-water instructors rounds out the team, and the most advanced techniques, used in training and preparation for competitions and world record attempts, are described and demonstrated. The intensive program allows for 'maximal attempt' dives, depth training tables, advanced pranayama, equalisation methods and much more. The course will provide new insights into holistic training that will take your freediving to the next level.